This marker is located at 2153 US-395 Minden, Douglas County, Nevada. There are 17 other historical markers in Douglas County. 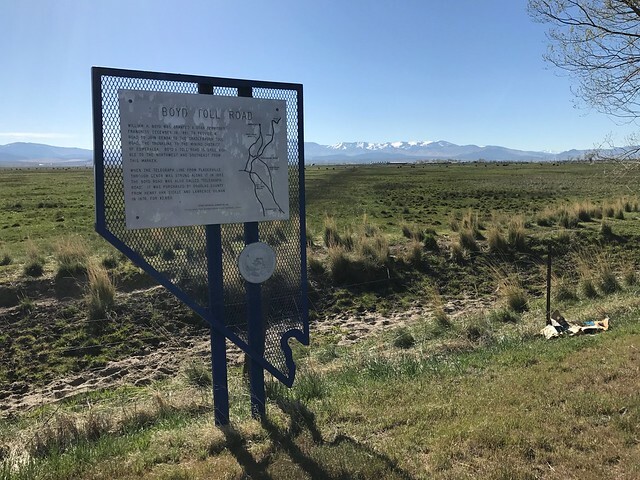 The GPS coordinates for this location are 38° 59' 18.2" N 119° 46' 45.0" W.
William H. Boyd was granted a Utah Territory Franchise December 19, 1861, to provide a road to join Genoa to the Cradlebaugh Toll Road, the trunkline to the mining district of Esmeralda. Boyd's Toll Road is still visible to the northwest and southeast from this marker. 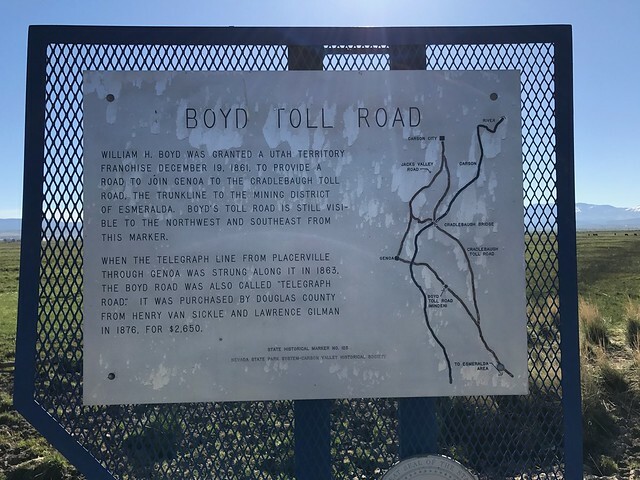 When the telegraph line from Placerville through Genoa was strung along it in 1863, the Boyd Road was also called "Telegraph Road." It was purchased by Douglas County from Henry Van Sickle and Lawrence Gilman in 1876 for $2,650.